A sign welcomes visitors and residents to Valley Stream, an incorporated village established in 1843. A dedication to Christopher Columbus who discovered the new world in 1492. 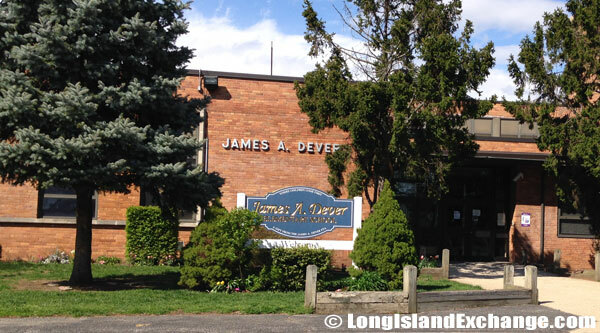 James A. Dever Elementary School, Valley Stream Union Free School. 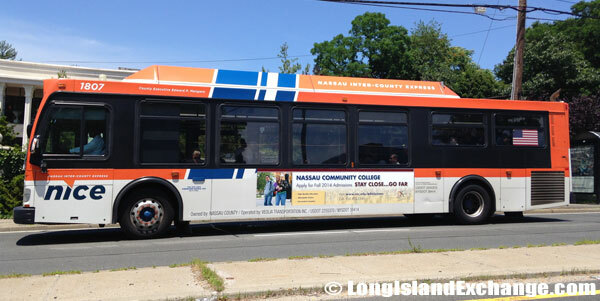 A Nassau County NICE bus travels through the area of Valley Stream. 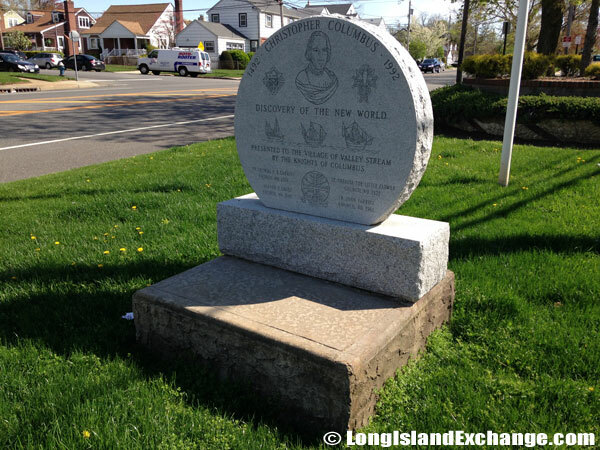 The Rockaway Indians were the first who resided in the area until it was purchased from them in the year 1640 by the Dutch West India Company. They only used hunting animals in the forest and farming as their way of living. During that time, different terms were named to various sections of the area; the northwest section was called “Fosters Meadow”. The business section on Rockaway Avenue was called “Rum Junction” due of its active nightlife. The northern section was known as “Cookie Hill”, and the section of the northeast that housed the local fertilizer plant was called “Skunks Misery”. The Hungry Harbor was the only section to retain its name which came from the status of its residents. 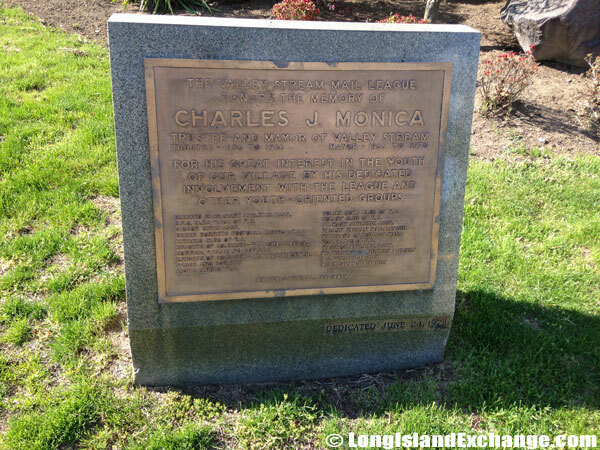 A dedication to Charles J Monica, trustee and mayor of Valley Stream New York. 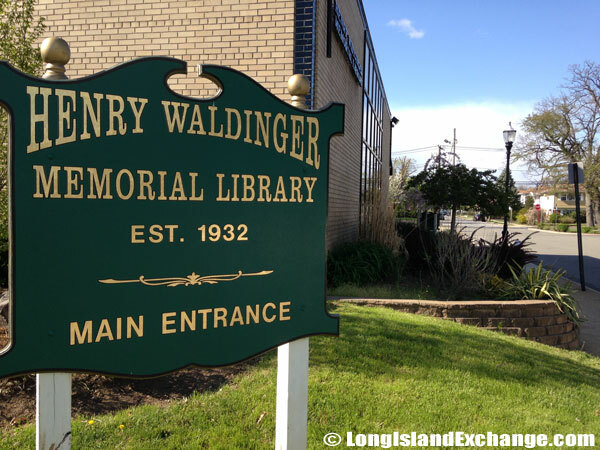 The main entrance at the Henry Waldinger Memorial Library, established in 1932. A dog park along the train station overpass. 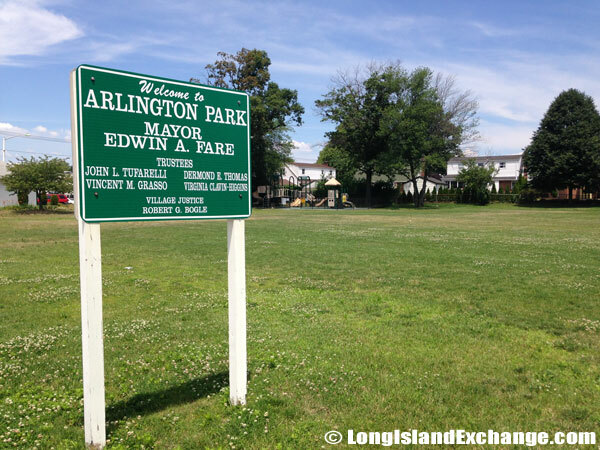 Arlington Park and Field Valley Stream often used by the Valley Stream Soccer Club. In 1843, the area’s name is turned into Valley Stream by Scottish immigrant Robert Pagan which he lobbied for a post office. The Postal authorities approved the new station provided it had not duplicated the name of other places. 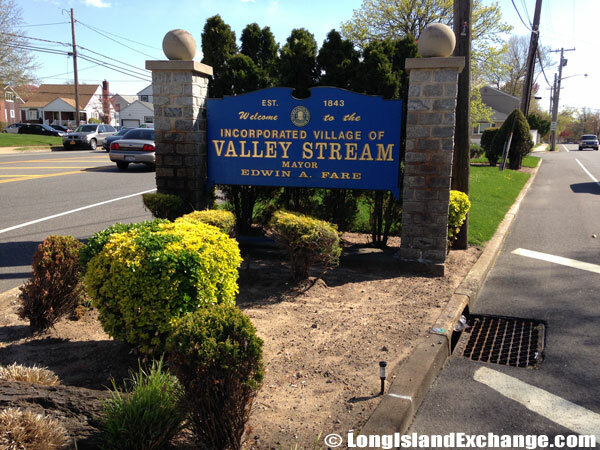 Valley Stream is still the only community in the United States with that name. The wife of Robert Pagan named Ellen was also played a significant role in terms of village history. In 1922, William R. Gibson a developer came to Valley Stream after building more than 2,500 homes in Queens. He bought 500 acres of land on Roosevelt Avenue and built homes on Avondale, Berkeley, Cambridge, Derby, and Elmwood Streets. He did more than any one person to populate the village, which incorporated in 1925. 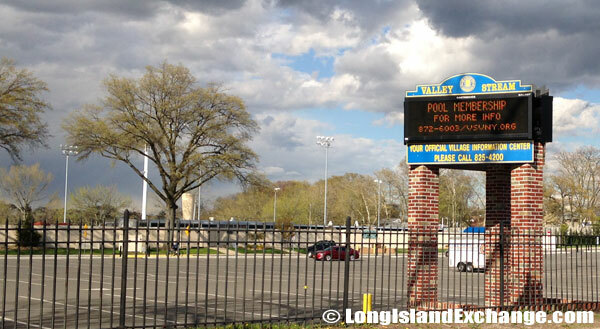 The Valley Stream Memorial High School on Fletcher Avenue. Valley Stream Central High School on Fletcher Avenue. 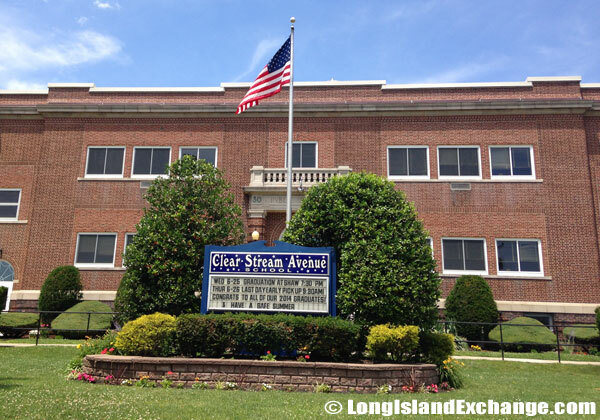 Clear Stream Avenue, Valley Stream Union Free School District. 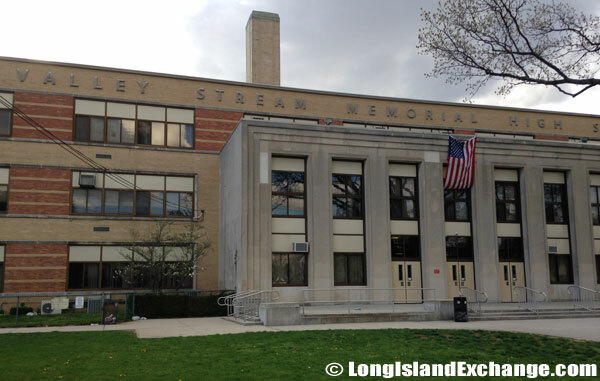 Valley Stream has many elementary schools and a few high schools that offer good quality of education. 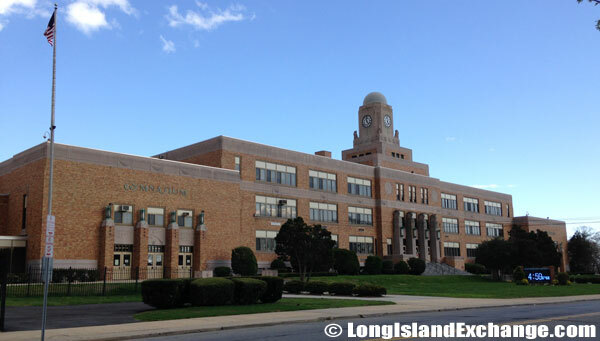 The school districts consist of Valley Stream 30, Valley Stream 13, Valley Stream 24, Hewlett–Woodmere, Elmont, and Lawrence. 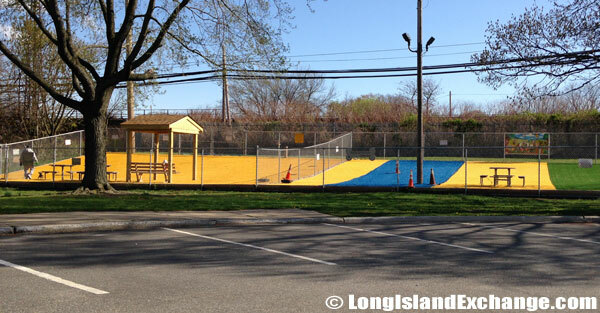 When it comes to attractions, the village has something to be proud of having the world’s famous Valley Stream Park which was originally part of the Brooklyn water supply system. The park offers a playground and playing fields, picnic tables, a nature trail, and so much more a perfect place to spend together with your families. 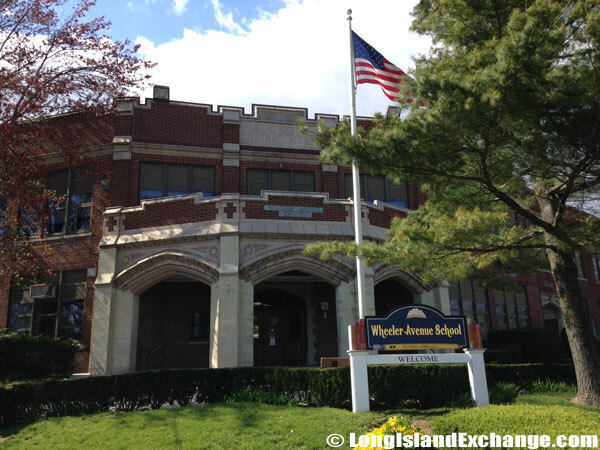 Wheeler Avenue School, one of four elementary schools in the Valley Stream Union Free School District. 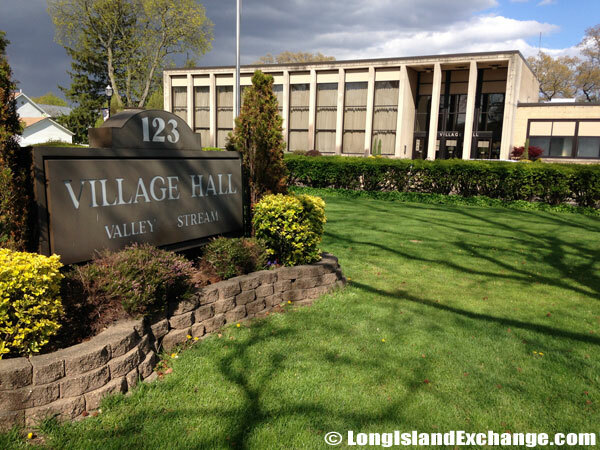 Village of Valley Stream Village Hall. 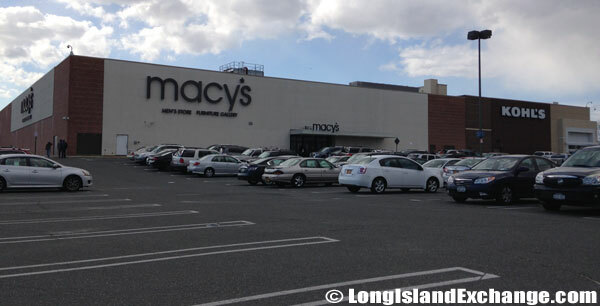 Macy’s inside the Green Acres Mall, a large shopping center with over 150 stores and restaurants. 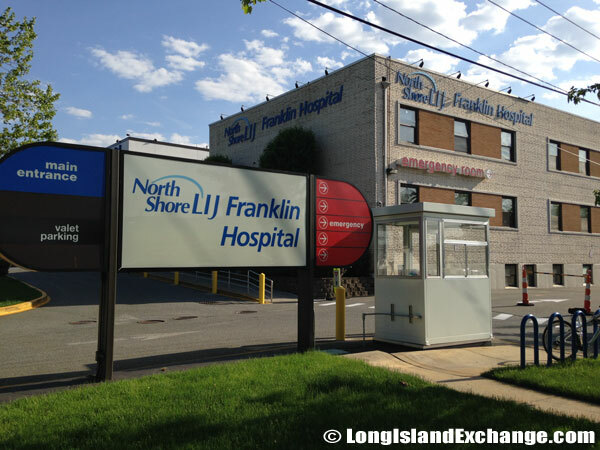 Franklin Hospital Medical Center, part of the North Shore‑LIJ Health System. The village is so-called a home for the Hollywood Stars for many actors and actresses residing in the area. The Henry Waldinger Memorial Library serves the residents of the entire village. A complete package for children’s way of learning offers a variety of programs for children of all ages throughout the year including Alphabet Soup, Toddler Time, craft programs, pajama story times, and summer reading clubs. Valley Stream is considered a middle-class community with so many lovely homes with different styles such as ranches, capes, colonials, and Tudors. Prices normally range from $300,000 up to $1.29 million.